A person who is at least 21 years of age and has been a Singapore Permanent Resident for at least 2 to 6 years prior to the date of application. Spouse of Singapore Citizen with a minimum of 2-year and married for at least 2 years preceding the date of application. Child born outside Singapore whose parent is a Singapore citizen. 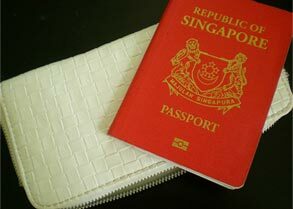 Track record of living in Singapore during your permanent residence time period. Your good character and law-abiding nature. Your ability to be an asset to Singapore and not a liability. In other words, your ability to generate income for you and your family (either as an employee or a business owner). You will need to have a lot of documentation to an excessive amount, and failure to produce any of the following documents will result in your application being denied. Existing passport – Birth Certificate – Marriage Certificate / Divorce Certificate – Educational Certificates – Death Certificate of ex-spouse, proof of child/children’s custody from previous marriage, if applicable – Deed Poll or Religious Certificate for change of name, if any – Foreign citizenship certificate – A letter of employment from current employer – Income tax notice of assessment for last 3 years – Pay slips for last 6 months and CPF contributions history for last 12 months, if employed – Latest ACRA business profile and balance sheet/profit and loss account of your business in case you are a business owner. Once you have completed the citizenship application and the supporting documents are ready, you need to visit the ICA office and submit the application in-person. Keep in mind the following when filing your application. The result of your application can take up to 9 months to receive. Assuming your application is approved, the next step is oath taking as described below. Once you have received the citizenship approval letter as above, you will need to visit ICA office to take the Oath of Renunciation, Allegiance and Loyalty. The approval letter will list the appointment date and time for the oath taking and again you will need to take all of your documentation with you.